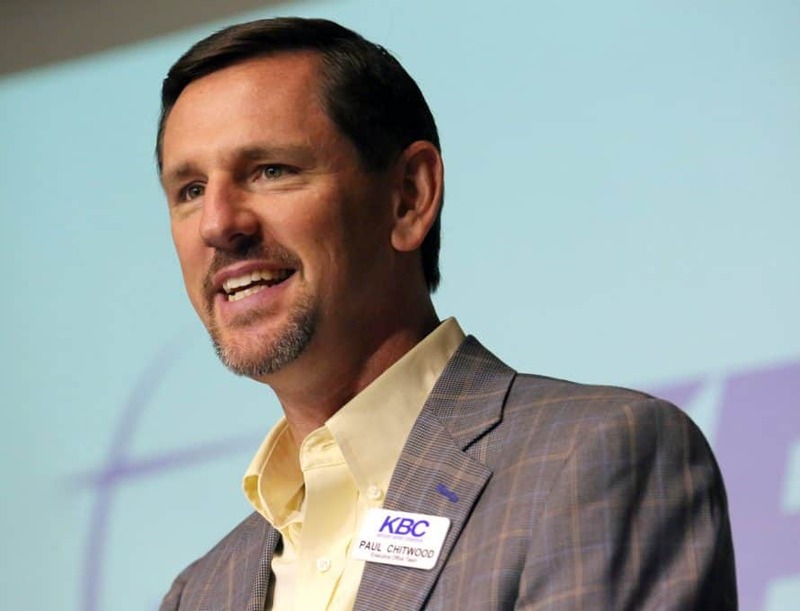 RICHMOND, Va. — The International Mission Board will install Dr. Paul Chitwood formally as its 13th president on Feb. 6, 2019, at 6:30 p.m. at Grove Avenue Baptist Church in Richmond. The public is invited to attend the installation service, which will include a Sending Celebration honoring the appointment of 19 new Southern Baptist international missionaries. The IMB’s board of trustees unanimously elected Chitwood, 48, as president of the organization on Nov. 15 in Richmond. Chitwood, who previously served as executive director of the Kentucky Baptist Convention, took office immediately as president of the 173-year-old entity, the largest denominational missionary-sending body among American evangelicals. More than 3,600 Southern Baptist International missionaries serve worldwide. The special service will include a charge to the new president and the new missionaries by Dr. Tom Elliff, former IMB president, who served in the role from 2011-2014. Other notable guests who will participate in the service include IMB President Emeritus Dr. Jerry Rankin, who served as IMB president from 1993-2010; Dr. J.D. Greear, president of the Southern Baptist Convention and pastor of The Summit Church in Durham, N.C.; Sandy Wisdom-Martin, executive director/treasurer of the Woman’s Missionary Union in Birmingham, Ala.; Dr. Chuck Pourciau, chairman of the trustee presidential search committee and senior pastor of Broadmoor Baptist Church in Shreveport, La. ; and Dr. Clyde Meador, IMB’s interim executive vice president. A former chairman of IMB’s board of trustees, Chitwood most recently served as executive director of the Kentucky Baptist Convention, the state’s largest religious organization with 750,000 members in 2,400 churches and 70 associations, from 2011-2018. For 18 years, Chitwood served as the pastor of local churches of varying sizes: First Baptist Church, Mt. Washington (2003-11), where he is a member; First Baptist Church of Somerset (1999-2003); First Baptist Church of Owenton (1995-99); and South Fork Baptist Church in Owenton (1993-95). As a pastor, his churches averaged giving 18.5 percent through the Cooperative Program. During his pastorates, he served as chairman of the IMB trustees from 2008-10, part of his tenure as an IMB trustee from 2002-10. His overseas short-term mission involvement includes work in the Americas, South Asia, East Asia, Sub-Saharan Africa, Europe and the Caribbean. As executive director of the Kentucky Baptist Convention, Chitwood led the organization to a greater focus on strengthening local churches, planting new congregations, evangelizing the unchurched, and shifting more funding to international missions. In consideration of leading the largest denominational missionary-sending body among American evangelicals, Chitwood has stated that he is committed to the organization’s next executive vice president being someone with significant mission-field experience. Chitwood has traveled extensively overseas in support of the IMB and worked alongside IMB missionaries, which gives him a view into the missionary life and task but also makes him realize how much he will depend on men and women who have long-term overseas experience. Chitwood was Kentucky Baptist Convention president in 2005-06; first vice president in 2003-04; and president of the state pastors’ conference in 2002. He was chairman of the SBC Committee on Nominations in 2015-16, and he also has served on several other state mission committees and in associational leadership committees. He has served as a trustee of Crossings Ministries, Sunrise Children’s Services, Kentucky Baptist Foundation, Oneida Baptist Institute, Baptist Haiti Mission, and Bridges to Nigeria. He is an adjunct professor of leadership at The Southern Baptist Theological Seminary. He previously has been an assistant professor of missions and evangelism at The Southern Baptist Theological Seminary, University of the Cumberlands, and Boyce College. A native of Jellico, Tenn., Chitwood is a 1992 graduate of Cumberland College (now University of the Cumberlands), where he has served as a trustee. He earned a master of divinity degree from The Southern Baptist Theological Seminary in 1995 and a Ph.D. from the seminary in 2001. He currently is pursuing a master’s degree in nonprofit administration from the Mendoza College of Business at the University of Notre Dame. Chitwood and his wife, Michelle, have been married for 25 years. Their family includes a son Daniel, 22, and daughter-in-law Derrika; and three daughters: Anna, 20; Cai, 12; and Lilly, 6. The service will be broadcast via Livestream.